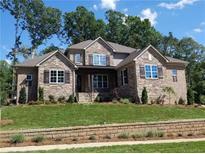 Find Charlotte, NC New Homes for sale. View Photos, Maps and MLS Data Now! Country Club Hills - This home is a must see. Schedule your private tour today. MLS#3496234. Keller Williams University City. All nicely appointed with upgraded flooring, granite countertops, stainless appliances, and more! MLS#3495339. TLS Realty LLC. Upper Level w 9' Ceilings includes a Bonus/Media Room and Entertainment Bar~Perfect Addition to the 4 Guest Suites! MLS#3496886. Helen Adams Realty. Conveniently located to all the amenities of SouthEnd, Uptown, and Park Rd Shopping! MLS#3496119. Costello Real Estate and Investments. Come and see all of the details this beauty has to offer. MLS#3496992. Allen Tate Matthews/Mint Hill. Ask about our Main Street Star Discount! No onsite agent. MLS#3473469. DR Horton Inc. Ask about our Main Street Star Discount! No onsite agent. MLS#3473468. DR Horton Inc. Ask about our Main Street Star Discount! MLS#3473470. DR Horton Inc.
Great location with easy access to 485 & 77 and just minutes from amazing shopping and restaurants! MLS#3496529. Keller Williams Mooresville. Minutes from Whitewater center, Charlotte Premium Outlet and much more. MLS#3452150. Choice One Realty Experts LLC. The home has a nice flat backyard and great spacing between the next home. MLS#3496320. Ideal Realty Inc. 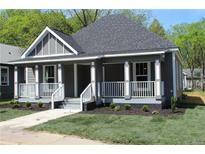 The Palisades - LOTS of new home for under $400,000 in one of Charlotte's top neighborhoods offering SO MUCH to do! MLS#3496797. Lennar Sales Corp. The Palisades - Home comes equipped with WiFi Certification and HOME AUTOMATION package by Amazon! MLS#3496785. Lennar Sales Corp. The Palisades - HOME AUTOMATION included with WiFi certification and activation by Amazon, so you talk to your home to operate it! MLS#3496260. Lennar Sales Corp. The Palisades - HOME AUTOMATION included with WiFi certification and activation by Amazon so you can operate your entire home by talking to it! MLS#3496169. Lennar Sales Corp. Terrific prices for these last 15+ inventory homes being built now to finish out construction in the Austin's Creek area of The Palisades. MLS#3496578. Lennar Sales Corp.
Front load garage & side entry for privacy. MLS#3496339. Daedalus LLC. 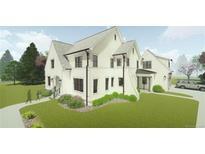 Westbourne - Check the competition - these are the best finishes for the price in Charlotte. MLS#3494458. Red Cedar Realty LLC. 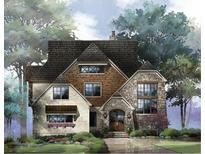 Westbourne - Check the competition - these are the best finishes for the price in Charlotte. MLS#3494497. Red Cedar Realty LLC. Call listing agent or Copper Builders for information. MLS#3496118. Copper Builders Inc.